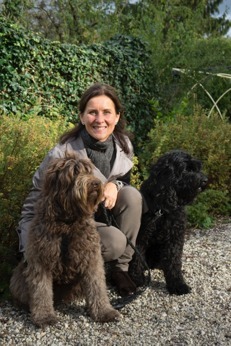 I am a small scale breeder, breeding out of my passion for this wonderful dog breed. My barbets bring me and my family very much joy and I would like others to have a chance to experience the same fantastic companionship from their offspring. Barbets are purebred, intelligent, allergy friendly dogs (allergie vriendelijke honden) suited for families with an active life style. Read more about the character of a Barbet here. 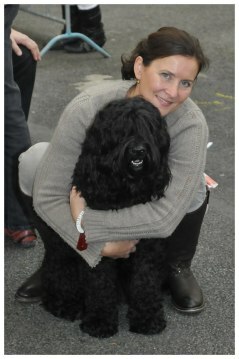 My first barbet Yatzie (Luddelumps Ester), born 11 April 2007, has had two litters and is now retired. Moët, Yatzie's daugher from her first litter, born 17 Sept 2011, was mated with Netis Hazzah and had 6 puppies, The Miracle litter, in September 2015. 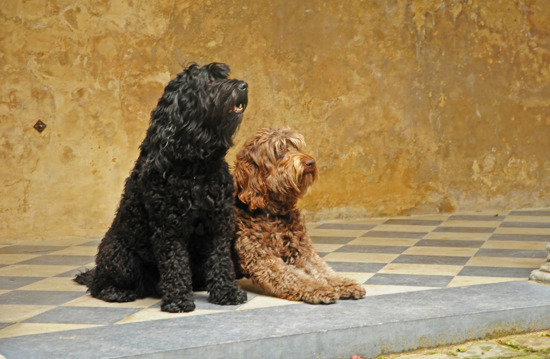 In my search for a stud, character and health are the most important criteria, in combination with my ambition to breed on old bloodlines – the more robust type of Barbet dogs. I am Swedish but live since 2010 in Holland. The puppies will grow up as an integrated part of our family, where children are around several days per week. The puppies will be well socialized in our family setting. All puppies will be dewormed, vaccinated and chipped. For puppies sold in countries outside of Holland export pedigrees will be arranged. I will be very thorough in my selection of the new owners of the puppies. A Barbet needs a family that is present and willing to invest a lot of time and energy in its new family member. 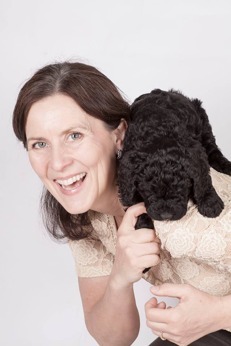 With a Barbet in the house you will have a fantastic companion that loves you and is willing to do everything you ask for if you are clear in your communication. You will daily experience “The spirit of goodness, loving kindness & gentleness", which is the English translation of my French kennel name. 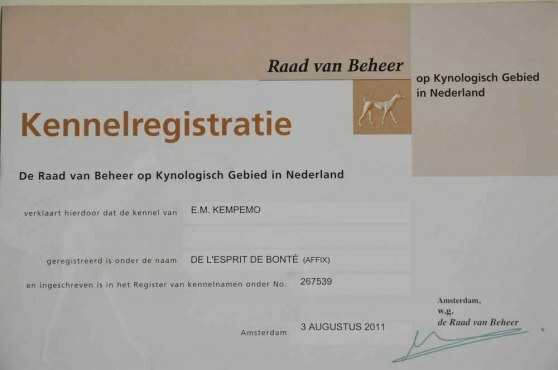 I am a member of the Dutch Barbet club. During my second year with Yatzie, while living in Sweden, I was on the board of the Swedish Barbet club. I am also in contact with many Barbet breeders in Europe in order to do my best for the continuation and wellbeing of our fantastic breed of dog. In October 2014, I published an extensive book about the Barbet, together with Brigitte Waller-Rengelink. It is a complete guide about the character, upbringing and training of a barbet. The book also gives a lot of good advice in the search for a puppy. You can order the book in English here and in Dutch here. Very welcome to contact me if you are interested in a puppy from our family kennel.